Life is a journey filled with milestones-birthdays and graduations, first dates and weddings, children and grandchildren. But as we travel through life, sometimes we are faced with a challenge that forces an unexpected detour. Karen and her parents had to face such a detour. Nineteen-year-old Karen came home one afternoon from her summer job in Keene complaining of a bad headache. Her parents didn’t think anything of it at first until Karen went right to bed, and soon after they found her vomiting violently. She then became unresponsive, staring blankly and her body limp. Karen’s parents rushed her here to Cheshire Medical Center. The Emergency Department doctor ordered a CT scan, and minutes later, the CT scan showed Karen had a brain bleed. She was then air-lifted to Dartmouth-Hitchcock, our region’s Level 1 trauma hospital. Karen’s life was saved with the help of a picture. This could have been you, a loved one, or one of our patients. Last year Cheshire Medical Center conducted over 12,000 scans. As you may know, a CT scanner is one of the most important diagnostic tools our providers have. 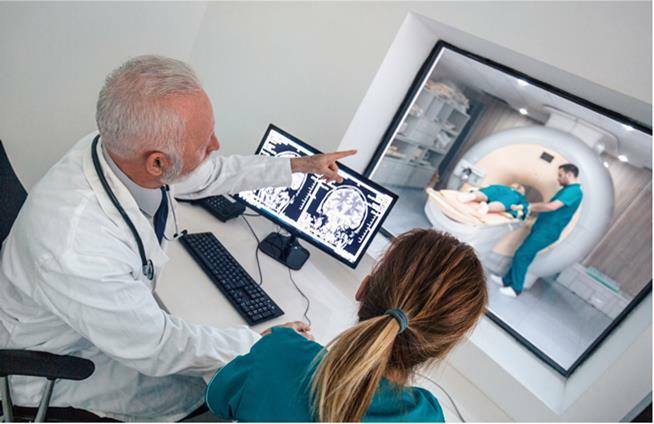 Scans detect a variety of conditions such as stroke, cancer, cardiovascular disease, and trauma from accidents–quickly, accurately, and painlessly. These scans happen 24/7 with our Radiology team working around the clock. Our 64-slice CT scanner is eight years old–three years past its recommended replacement. This equipment is very expensive, and as you know, budgets have been tight. The Cheshire Health Foundation needs to raise $700,000 towards the purchase of a new 128-slice, state-of-the-art CT scanner. We need everyone’s help to make this happen and are hoping we can count on you to make a gift today. Will you help us purchase a new CT scanner to support patient care? Every clinical department at Cheshire benefits from the diagnostic use of this technology, so your donation helps us all care for our patients. It assists our clinicians in making fast, accurate diagnoses and keeps patients close to home. All of this makes Cheshire Medical Center stronger. Your donation will provide cutting-edge technology for our patients and for your family, friends and neighbors. “We have some of the best Techs and Radiologists right here at Cheshire, but we need updated technology to keep doing our job well and to support our clinicians and patients in the best possible way,” says Abe Howe, Associate Director of Radiology Services. Your generosity will give our Radiologists, their team, and all of us this life-saving equipment needed to remain the best at what we do. It will help all of us care for our community. Supporting patient care shows the community we believe in what we do. Thank you for helping us care for our community! Imagine what more we can do Together. Please consider a gift via a payroll deduction; it’s an easy way to support the campaign! Download the payroll deduction form and forward it in a confidential inter-office envelope to the Development Office, make a one-time gift online, or contact Jim Boden at x6810. Thank you for your support!